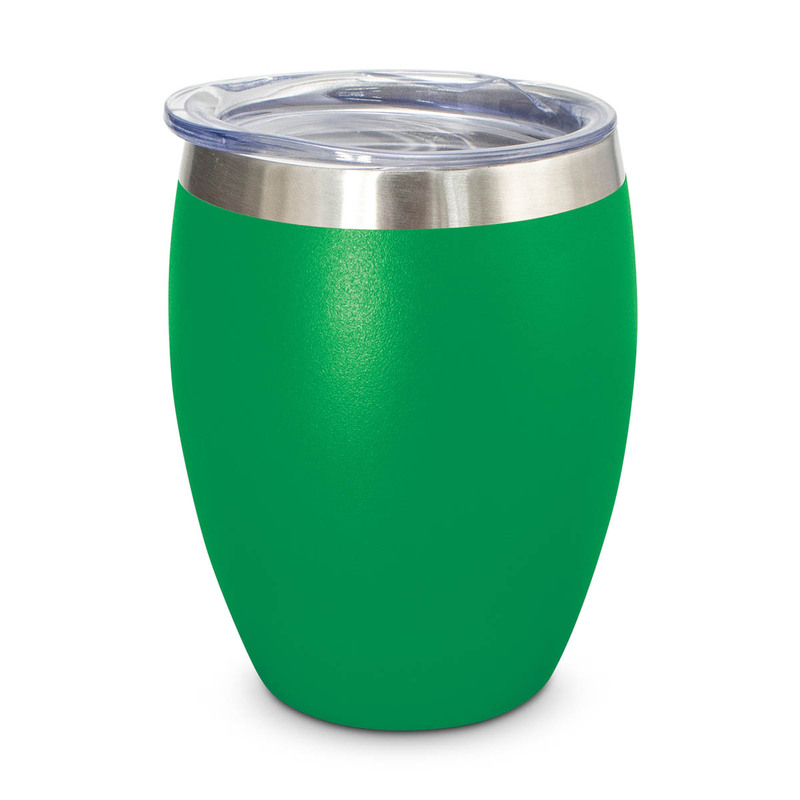 Great for the planet and your marketing - these reusable coffee cups are a new and exciting choice. An eye-catching vacuum cup that comes in your choice of many vibrant colours. They have a 300mL capacity and feature an attractive powder coated finish as well as a decoration of your logo. 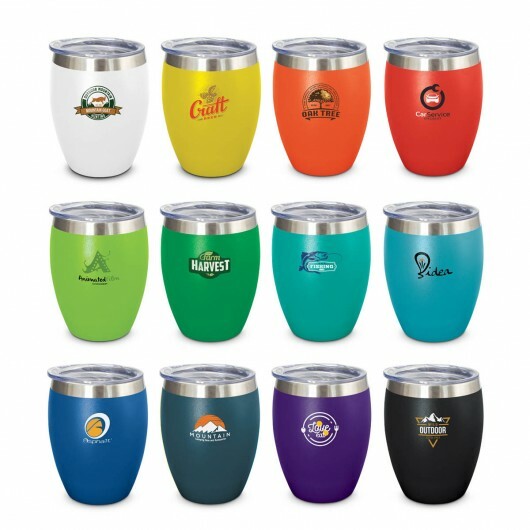 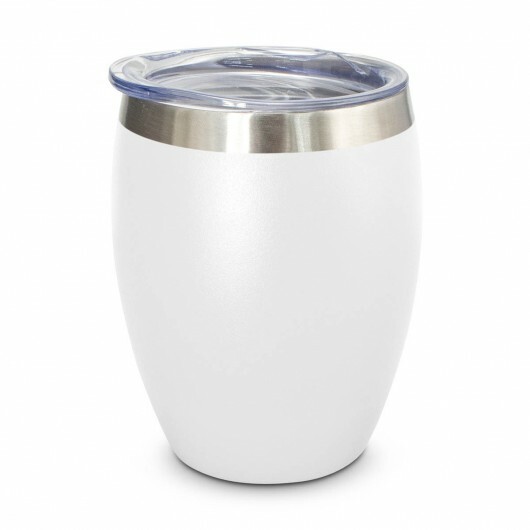 Each cup comes with a transparent push on lid which will keep drinks hot or cold for approximately 3 hours. Laser engraves to a stainless steel finish and comes presented in a black gift box. Handwashing is recommended.